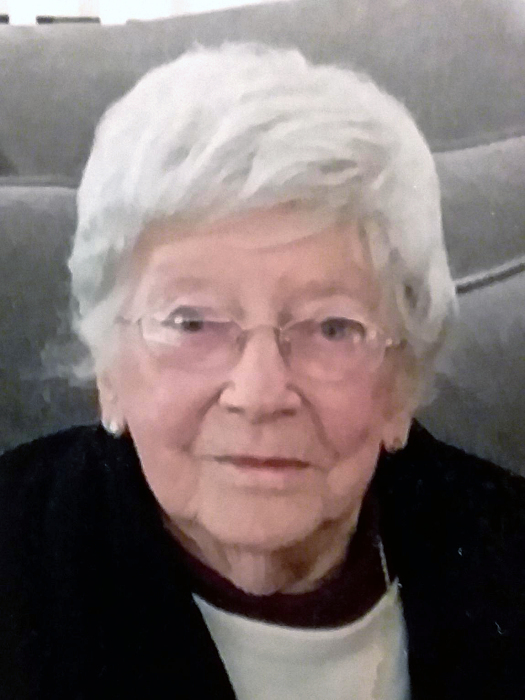 Doris Countryman, 94, passed away peacefully at her home at Monroe Village on Saturday, January 5, 2019. She was born on September 30, 1924 in Spotswood N.J. to Nelson and Kathryn Jolly. After graduating from South River High School she held several administrative assistant positions at Johnson and Johnson in New Brunswick, N.J., University of Rochester Medical Center, The American Red Cross and the New York State United Teacher’s Union. She retired to Cape Cod in 1983 with her husband of 65 years, Robert Countryman where she was involved as a docent at the Mass Audubon’s Wellfleet Bay Wildlife Sanctuary and a member of the the Cape Cod Hospital Auxiliary. She loved to make beautiful quilts which are now in the possession of her family and loved ones. She was predeceased by her husband, Robert Countryman, Ph.D. in 2016 and her only child Jill Countryman, Ph.D. in 2011, in addition to her brothers Nelson and Owen Jolly. She is survived by her two grandchildren, Kate Podell of Chicago, Illinois and Sam Podell of New York City and her son-in law, Dr. David Podell of Woodbridge, Connecticut. She leaves her sister Nancy Dougherty and many nieces and nephews and dear friends. Special thanks to Gabriela, RN of Monroe Village, Sandra, RN from Embracing Hospice and Christiana from Independence Home Care for their kind, individualized and compassionate care. Memorial donations may be made to Mass Audubon’s Wellfleet Bay Wildlife Sanctuary.